Erzan is six years old and comes from Albania. 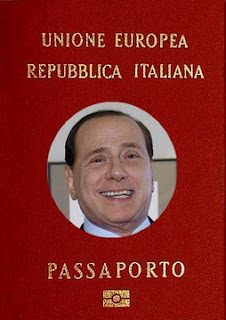 Thanks to the recent ruling of the Italian Court of Cassation his father, being an illegal immigrant, was deported from Italy. He’s a very smart child and always follows the news with dad, at least while he was still with him. So he decides to write a letter to the Court. I make you my compliments. Observance of the rules is vital for a healthy society. Dad was an illegal immigrant and the law says it must be expelled. The law is the law and must be applied without exception, even facing the pain of children like myself, who now is without dad. That’s because I want to be clear. For newspapers an illegal immigrant was taken away. I just lost my father. The fact is that your country, which is now also mine, is truly the land of the points of view. For you, the rule of law comes before everything, but not everyone thinks so. For example, President Napolitano believes democracy comes first. Democracy… I still have not understood what it is - I am just six - but I think it is a good word to bring up and justify own choices. If my father had said that he would have to stay in Italy in the name of democracy, perhaps you would have decided otherwise. Who knows? Well, I don’t believe. I think the reality is rather different, but I say why at the end. Returning to the points of view, while you first proved inflexible rules, Prime Minister Berlusconi offended systematically laws which disturb him, avoiding to be judged. If my father had protested accusing you of being communist judges and weapons in the hands of the Bolsheviks Left, maybe today he would still be here beside me. Well, I don’t bet on it, and later I’ll tell you why. Always a matter of opinion, in these few years I've lived in your country, I heard everything. Greatest tax evasion in the world, people with a criminal record in parliament, corruption and kickbacks in any institution that counts, collusion between the mafia and politics, and I will stop here. So, it seems to me that my new country is not the land of law. If my father had escaped million of euros, had become a deputy, had given bribes to someone important, or had gone into business with Cosa Nostra, tomorrow he would accompany me to school as he always has done in recent years. No, this is impossible and I know why. The News: The Court of Cassation confirmed the decision of the Court of Appeals: illegal immigrants will be deported even if with minor children in school.